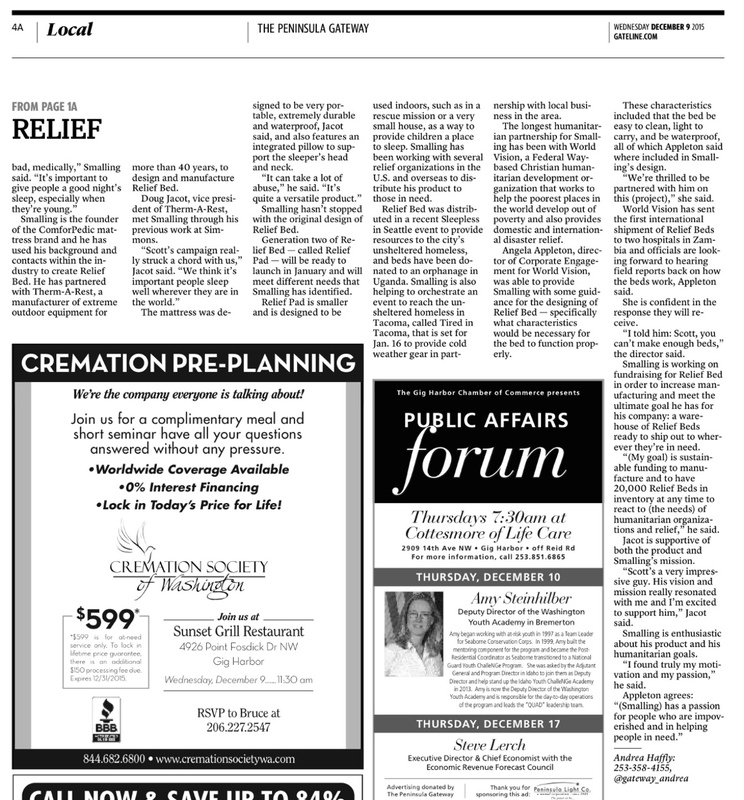 See where Relief Bed™ is making the news! 6/3/2016: Relief Bed International Partners with LifeMoves in San Mateo, CA to Provide 50 Relief Beds® to Help Families in Need of a Better Nights Rest. Northern California mattress retailer Sleep. donated 50 beds from Relief Bed International to LifeMoves. 5/20/2016: Sierra REC Magazine Review – Changing Lives Around the World One Great Nights Sleep at a Time! 12/9/2015: Providing a Place to Rest Weary Heads. 9/22/15: Relief Bed™ Launches to Provide Beds to Developing Nations and Disaster Relief Efforts Around the Globe.